On January 11, the Eagles played the CPS Tigers at home, winning 68-53. 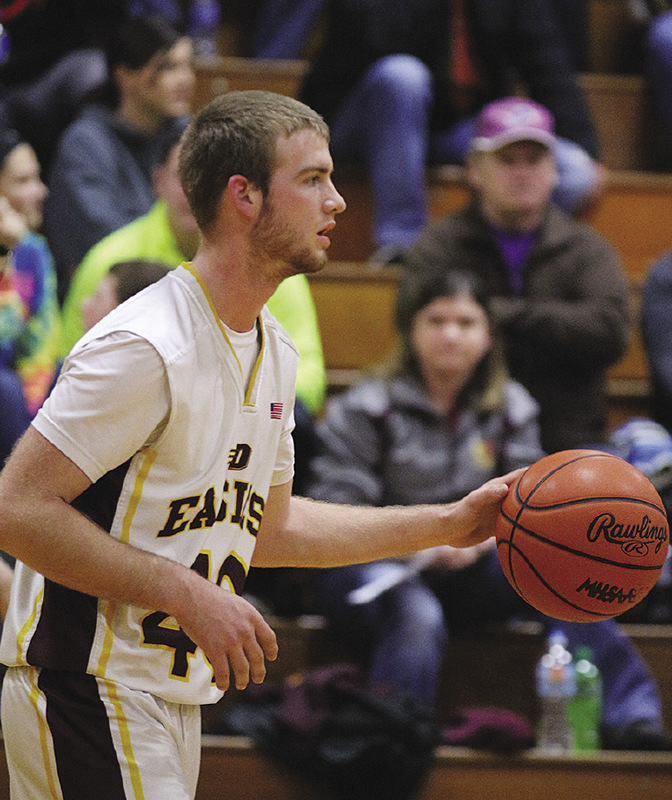 The Deckerville boys outscored CPS 17-8 in the first quarter, with a half-time score of Deckerville 32,CPS 12. Deckerville added 23 points in the third, and holding the Tigers to 11. The Eagles added 13 more points in the fourth quarter, the Tigers 12. The Eagles had four in double figures, Austin Fritch 15, Zach Asher 13, Wyatt Janowiak 12 and Brandon Pattullo 10. The Eagles were 6-10 at the free throw line. For the Tigers, Aaron Cooney 15 (three 3-pointers), Justin Ritchie 8, Cody Mooney 6. CPS was 2-2 at the free throw line.